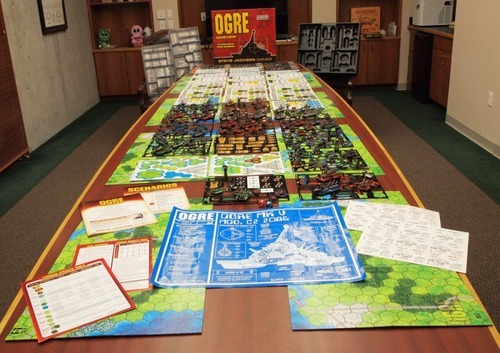 Big games, like this monstrosity from Kickstarter, are exciting. 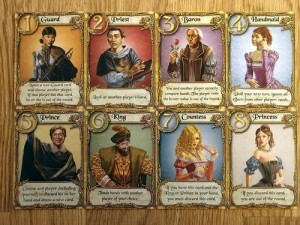 Image from the Board Game Geek. One of the biggest challenges of designing games is scoping. We’re often inspired by big games and strive to make them ourselves, but bigger does not necessarily mean better. Today I’ll discuss some of the advantages and disadvantages of big games and suggest methods to help you control the scope of your game. Big games are really cool. People really like them, and for good reasons. Big games are exciting. They tend to have lots of components, lots of rules, and lots of replayability. To many people, there is something inherently appealing about a big game–there are just so many possibilities! Big games also tend to embody big themes, or at least incorporate more aspects of a theme. This personally doesn’t impress me–often times, games that strive to be accurate simulations sacrifice gameplay to do so–but I know it’s a big draw for many people. Many big games also have a lot of variability. Often times, you won’t get through all of the game content in one play through, so every time you open the box you’ll have a new experience to look forward to. Big games: what’s not to like? While they may be appealing for players and exciting for designers, there are actually quite a few reasons to avoid them, especially for first time designers. 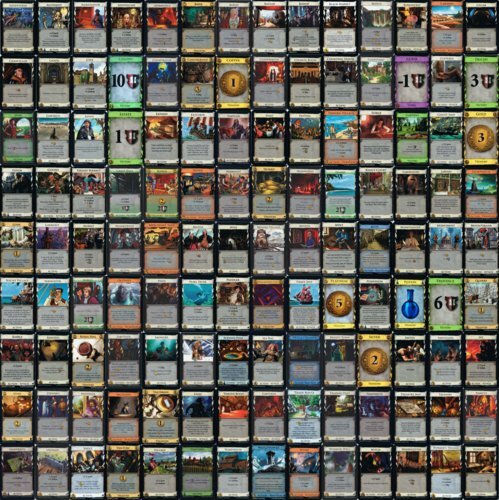 Do you think adding a new card to Dominion involves testing one card? Of course not! It involves testing dozens of combinations of cards! Image from the Board Game Geek. First off, big games take more work. A lot more work. Every extra component or rule requires art, graphic design, and testing. Testing is especially demanding, since adding new rules and components can greatly increase the number of combinations that need to be checked. That requires a lot more of your time, not to mention more time from your playtesters and more money for your art budget. But it’s not just more work for you! Every extra rule and component requires more work from your players to learn the game. Sure, some players love to be experts on games, and the more to know, the better, but to your average player, more to learn equals a higher barrier of entry. And bigger games cost more. To make the game, you’re going to have to pay for every component. And the cost to produce your game is going to at least partially determine your game’s price, so it will also determine what your player will pay for it. 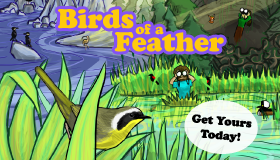 An expensive game is a less appealing game, especially when you have little name recognition. Oh, and did I mention that more components means more volume and weight, increasing shipping costs? It all adds up! Designing a big game is also more challenging. For starters, big games are less forgiving of mistakes. While you’re busy churning out content, a bad decision you made early on is lingering in the background. Once you find it, you’re going to have to go through all of that content to fix it up. That can be a lot of work. And developing big games can drag on for a long time. If you have the endurance of a marathon runner, that might not be a big deal. But many of us suffer from burn out sooner or later, and when you’re dedicating yourself to a big game, that can easily happen before the game is finished. There are few feelings worse than knowing how much time you sunk into a project and how many people you showed it to, only to be unable to bring yourself to finish it. With big games, this tragic outcome is a far more likely. Start small. Even when you know you should make a small, focused game, that doesn’t make it any easier. If you’re like me, as soon as you come up with a new game concept, your mind starts overflowing with ideas. It’s hard to resist the urge to just throw all of those ideas into your game and experiment with all of them right away. But when you start big, it can be really difficult to trim down to a more manageable size. You and your players will start getting emotionally attached to pieces of the game that should ultimately not be there. It’s usually better to start small. Figure out the core of your game, create that, and then add to it as necessary. Don’t just throw away all of those great ideas you had, though… write them down. Your core might have room for some extra spice, or might need help smoothing out or balancing some systems. Starting with the core has another benefit: you’ll understand your game a lot better. It’s easy to get distracted by tuning unnecessary special rules when you start with a complex game. Playing your game without the bells and whistles will give you a better idea of how your game works and what it really needs. Limit yourself. When you start thinking about a new game, ask yourself how many components the game should need to function. Then make the game with that many (or fewer!) components. If something you want won’t fit in, really question whether the game needs it or not. Adding it will add to the game’s cost, rule complexity, and development time. Do you really want to increase all that? To drive this point home, hop over to The Game Crafter to mock up your game. Don’t worry about art or anything… just make a dummy game with all the components the game would include. The price TGC would charge you is pretty close to what consumers would pay. By how much will those extra components increase the price? How many people will be willing to buy your game at that price? Need inspiration for your limits? Many components come in set counts, so you can use the default counts as your limit. 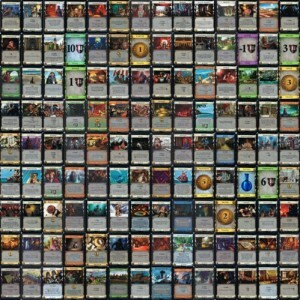 For example, cards tend to come in 54 card decks, making 54 cards a great number to shoot for. Let someone else limit you. If you keep up with the online board game design community, you’ll soon discover that there are frequently mini-game competitions, like this one from Dice Hate Me Games. These go on all the time and are a great way to help you focus, offer deadlines to motivate, and of course give limitations on scope. By making one of these design competitions your goal, you will have no choice but to limit yourself. There are lots of reasons to try to limit your scope, but possibly most important is that it’s the best way to ensure you have a streamlined, elegant design. I wouldn’t be the first to say that the art of game design isn’t one of addition, but of subtraction. Two thirds of Love Letter, one of the hottest games of the year. 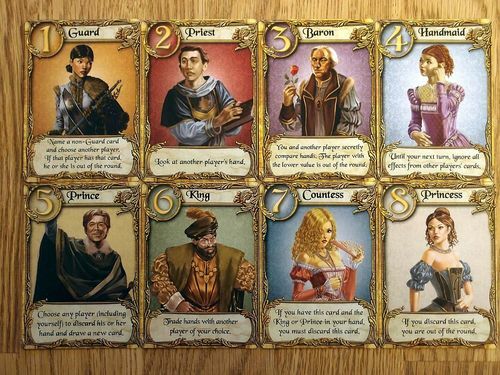 Image from the Board Game Geek. Just kidding! The most important reason is that small games sell! After all, one of the hottest games of the year is only 16 cards, and as I was writing this a game consisting of a single card funded on Kickstarter in hours with over 1,000 backers. We’re in the middle of an anti-arms race, where the smallest game is the coolest game. Small games aren’t just economical, they’re trendy! I’ve been designing small games since 2008 and find that working within tight constraints really forces me to be creative. My Famous Games Company now focuses exclusively on small games, publishing and selling an entire line of 11-card, half-hour sports games for two players. You can check us out at http://www.FamousGames.co (thanks to the small size of our games, we also ship very affordable worldwide). I’m just the opposite. I start small, then simplify to make it smaller. I would like to do a big game, but I’m waiting to get more experience.